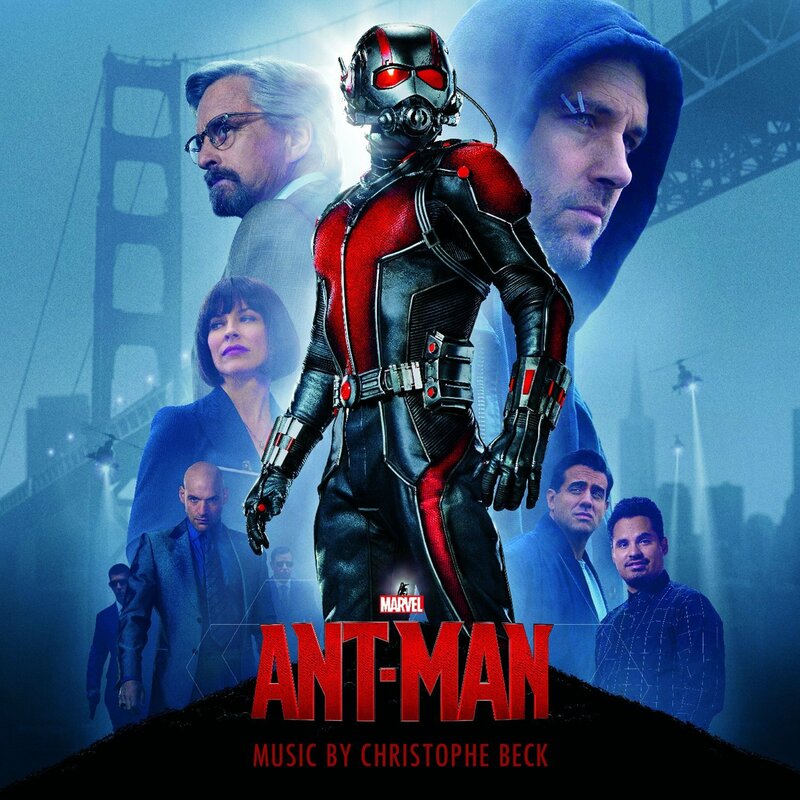 Christophe Beck has flown under the radar for most of his career; from his work on the Buffy the Vampire Slayer TV series to last summers underrated film Edge of Tomorrow and certainly the celebrated Disney film Frozen. Most of the projects he scores haven’t allowed him to really shine as much as Frozen until Ant-Man. The main theme, which opens the soundtrack album release, contains rhythms that hearken back to Jerry Goldsmith with a hummable melody- a precious commodity in today’s film music. The rest of the score takes as many opportunities to underscore the film’s heist elements, even going so far as to include instrumentals from The Commodores and a cue from Roy Ayers’ music from the black exploitation film Coffy to cement the suspense for said heist approach. It’s an enjoyable film from arguably the most entertaining film of the summer. 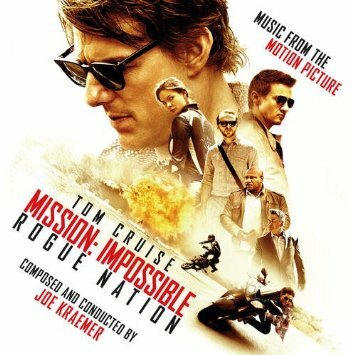 Joe Kraemer’s career is emerging in a great way thanks to his longtime friendship with master writer-director Christopher McQuarrie and their newfound partnership with Tom Cruise. The last time these three worked together, the result was “Jack Reacher” whose brawn was as classic as any in the Action movie genre. The execution on that film had an allure; the proof that the partnership had legs has been proven with Rogue Nation. 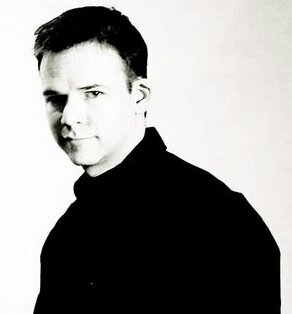 Kraemer’s score has been remarked as confident, which suggests that other reviewer’s do not care for electronics that can be added to many an interpretation of a Mission: Impossible score, preferring the pure orchestral approach commensurate with the television series source material. Kraemer’s score goes beyond confident; it seamlessly ties a mysterious theme for villain Solomon Kane, famous opera piece “Nessun Dorma” as a mock love them, and Lalo Schifrin’s original Mission music cues into one hell of spy thriller score. If this score is any indication, Kraemer will have plenty of work coming his way. Kudos should also go to La La Land Records, whose packaging of the CD release for this score is generous with artwork, quality paper for the CD inlay card, and proper mastering of the music itself for a polished presentation of one of the summer’s best scores. A lot of people don’t like the sound that comes from the trends in film scoring that Hans Zimmer tends to set. Reviewers, consumers, and some film score fans find his work to be overplayed and turgid. You won’t find that sentiment with me; I’ve enjoyed Zimmer’s work since “Backdraft” on, and have included some of the work of those that have been his apprentices, such as Harru Gregson-Williams (composer of the upcoming “The Martian”, among many others). Recently, through remixing Zimmer’s music for Inception and The Dark Knight Rises, Junkie XL has been migrated from EDM artist to score composer, almost overnight. Under Zimmer’s mentorship, Junkie XL has provided solid work for “Man of Steel” and “The Amazing Spider-Man” in addition to working on his own with Zimmer producing on “Divergent” or “Paranoia”. 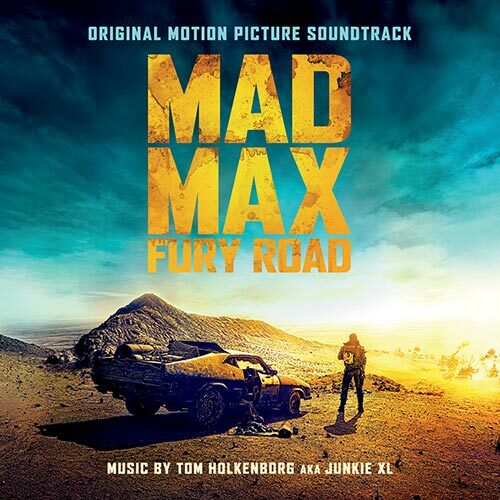 But here, with the explosive and assertive presence of George Miller’s work on screen with Fury Road, XL gets to flex plenty of electronic and orchestral bombast in equal measure. The cues that bring forth the most emotion, such as “Many Mothers”, “The Chase”, and the finale “Let Them Up” provide the heart of the film while “Brothers In Arms” (my favorite cue) presents the strength of the film’s action in a sonic presentation. Of particular note is that the digital release of the score contains extended cues and additional cues not available on the CD release, but in the case of the track “Brothers In Arms”, which is extended, some of this can become repetitive to the casual listener. The CD release is solid for its brevity, but die hard fans of this film may find the digital release more to their taste. 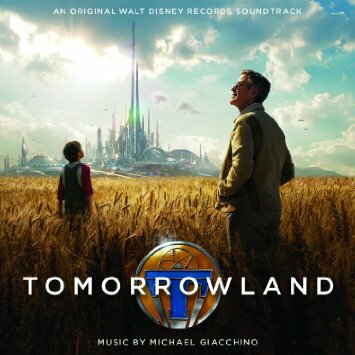 Michael Giacchino was a triple threat this summer, but then he’s a talented composer responsible for well-known solid work that includes the iconic Star Trek and Planet of the Apes franchise revivals, along with a Oscar win for Disney-Pixar’s “Up”, just to name a fraction of his output. With this summer, it was hard to go anywhere in June without hearing Giaccho’s work for three films alone, which just has to do with the timing of how each film was released. However, neither of them lacked for being handled in such close proximity. While I didn’t get to note Giacchino’s work for “Inside Out” in my review of the film, it’s one of the reasons for the film’s charm. It’s ethereal and has heartfelt a score as “Up”; in fact, one would argue Giacchino’s voice in any film is how heartwarming or heartbreaking his music for film can be. 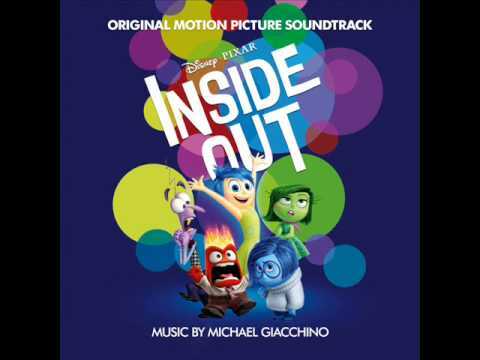 “Bundle of Joy” is as remarkable a cue as anything found in Giacchino’s other works; it’s representative of the dream-like quality of the music for Inside Out overall. Speaking of dreams, I don’t know what the hell some people’s problem with “Tomorrowland” was, because that film was sorely underrated. This is a film that prizes imagination and encourages finding it and using it. Giacchino’s music underscores that sentiment beautifully, and in a way that pairs itself well with his equally lush work for “John Carter”. Perhaps Giacchino’s music outclasses the quality of both films, but just listening to a cue like “Pin-Ultimate Experience” (corny title aside) conjures not just images of the film’s imaginative approach, but inspires soaring feelings. Not every film needs such music because not every film is about evoking such a response, but it’s rare to see it nowadays. Though Tomorrowland’s plot may be flawed, it still entertained better than first reviewed, and perhaps in time, the film will be better regarded for its sentiments and how it entertained. I certainly hope that Giacchino’s work will be heralded in such re-examination. As to re-visiting material, we find Jurassic World doing this in plenty of style as a film, if not having thin substance. It was a crowd pleaser as evidenced in the box office by going to the roots of making survival entertaining enough that people would pay to see the results. I always thought of Giacchino as an heir to John Williams in many respects, and certainly to the Jurassic Park franchise since Giacchino’s music for the video game for “The Lost World: Jurassic Park” came to the attention of Steven Spielberg and kicked off his career. Along with respectful homage paid to Williams, Giacchino brings in his own themes to “Jurassic World”, which are hymnal, particularly with the cue “The Park Is Closed”. In that cue, some of the most reflective, almost mournful music in the film can be found as much as an alluring chord and melody structure. There’s plenty of wonder and terror in equal parts from cues like “Indominus Wrecks” and “Our Rex is Bigger Than Yours”, leveraging orchestra and choir for the most primal of showdowns that the film provides. If anything, Jurassic World’s crime in film and score is that it’s an echo of past work and could suffer by comparison on many occasions. Personally, on both counts, it matches “Jurassic Park” and outclasses the second and third installments, which I feel happy to skip watching. 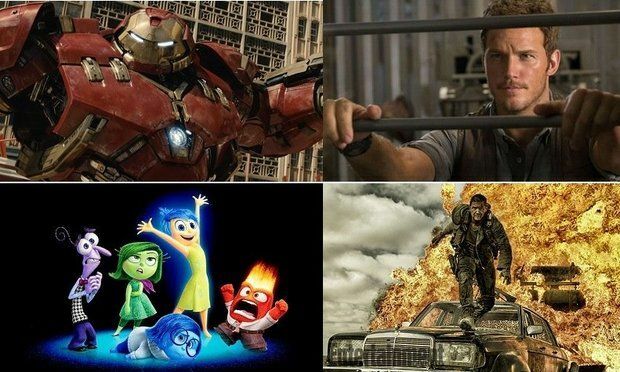 If anyone wins for hardest working composer of the summer, it’s Giacchino. It seems I’m bookending this review of the summer music with Marvel scores, but it also seems that the summer was bookended by the Avengers sequel and Ant-Man in a way. While Age of Ultron was certainly a box-office success, it’s regarded as an inferior sequel for many reason we don’t need to go into here- and it still delivered on entertainment despite it’s flaws. The score, however, is a equally a bit of mixed bag, not in terms of entertainment. Brian Tyler, likely managing schedule conflicts with his scoring duties on “Furious 7”, had to defer to Danny Elfman completing the score. On the CD release, Tyler has most of the tracks, yet Elfman has almost as many as Tyler. Thus the release as an almost equal representation of both composer’s work in a generous amount of cues, and neither cancels each other out. This is due to the fact that both composer’s works deliver each part of the score efficiently, albeit not necessarily with a lot of originality. Tyler’s work could fit in any blockbuster, while Elfman appropriates Silvestri’s themes for the first Avengers film for another kid of familiarity. Though this may appeal to fans of this film, and the Marvel Cinematic Universe at large, and it certainly appealed to me, it does suffer under the weight and success of the first film by comparison – another all too familiar element in blockbuster films. It leaves one wondering what would’ve happened if Silvestri could’ve returned. 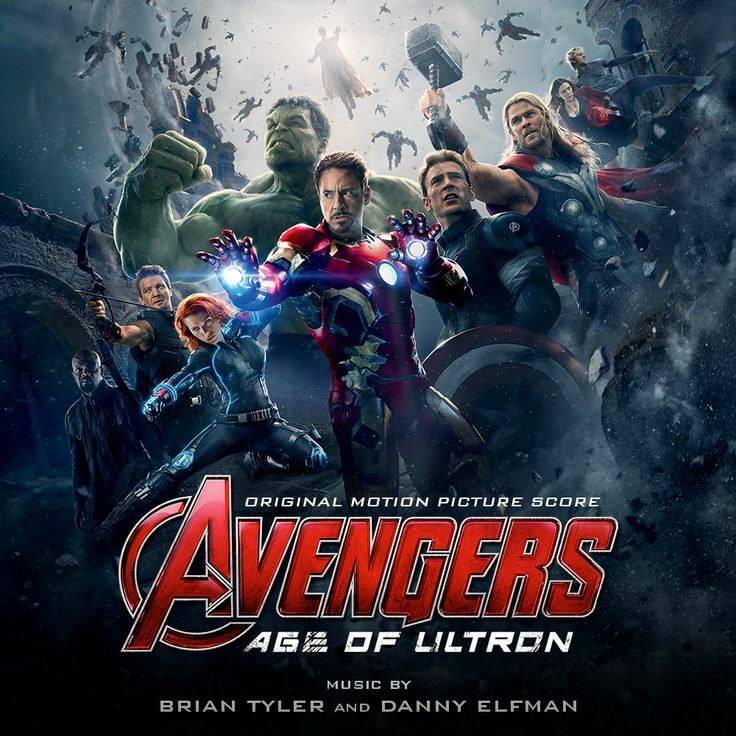 Despite this, Tyler and Elfman’s separate work are entirely listenable and for those who like the film or the work of both composers, that’s not too shabby an effort.